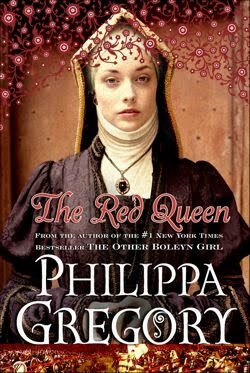 Thanks to the generous folks at Simon & Schuster, Passages to the Past has 3 copies of The Red Queen (Book Two, The Cousin's War) by Philippa Gregory to giveaway in honor of today's release! SYNOPSIS: Heiress to the red rose of Lancaster, Margaret Beaufort never surrenders her belief that her house is the true ruler of England and that she has a great destiny before her. Her ambitions are disappointed when her sainted cousin Henry VI fails to recognize her as a kindred spirit, and she is even more dismayed when he sinks into madness. Her mother mocks her plans, revealing that Margaret will always be burdened with the reputation of her father, one of the most famously incompetent English commanders in France. But worst of all for Margaret is when she discovers that her mother is sending her to a loveless marriage in remote Wales. To enter, please complete the form below. This giveaway is open to US and Canadian entries ONLY. Giveaway ends on August 17th. Earn +1 extra entry if you help spread the word by posting, tweeting or Facebooking about this giveaway. Great giveaway. Hope to read this! Philippa Gregory is one of the main reasons I fell in love with Historical Fiction. Thanks for the great giveaway Amy! Thank you for the Giveaway. I look forward to reading this book and its "sister" THE WHITE QUEEN. I LOVE her books!! Thank you so much for this giveaway! !